In my seminars "Beyond Male and Female: A History of Transgender, Intersex, and Non-Binary Identity," and, "Queer Christianity: A History of Gender and Sexuality in the Church," I run the assignment, The Queer Saints Project. So for this talk, I will use the figure of Joan of Arc as a queer saint to first explain our challenges and promises for medieval transgender studies. Joan allows us to consider our perspective from a distance, because transgender in the military is obviously not a modern conflict. Joan of Arc allows us to consider the current conflict we are in and how we get thru. Because each day all I need to do is check the Chronicle of Higher Education or the national news to discover a new unimagined way in which we are are being eliminated or even killed. That brings me to acknowledge that my title also begs the question, what exactly does she think the Middle Ages, or the studies of, need to be saved from? I think we each could list several things. This talk leverages trans interdisciplinarity against niche expertise, trans collaboration against isolating competition, and trans creativity over pessimism. This final point not only concludes but summarizes my main concern and my main response. Because the biggest threat I see to not only trans studies, the middle ages, but the academy in general is not any one threat from the outside against us but the threat of pessimism and despair from within us. Pessimism is not only the biggest danger for a new generation of jobs the threat that should be our biggest job to address if we are to help the new generation create a better future for our past. So why say that Transgender Can Save the Middle Ages? 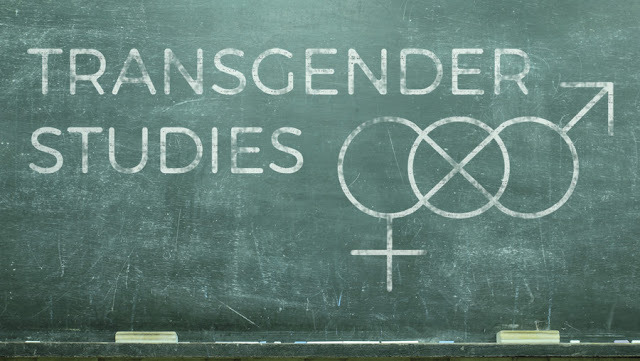 Because Transgender Studies is necessarily interdisciplinary, collaborative, and creative. These are traits that are increasingly critical to the survival of the humanities, especially Medieval Studies, in the face of a changing profession that is eliminating or absorbing fields, increasing the entry cost and exclusivity of stable sustainable jobs, and going through rapid transformations that make the future difficult to read for newly emerging talents as well as those experienced in the industry. 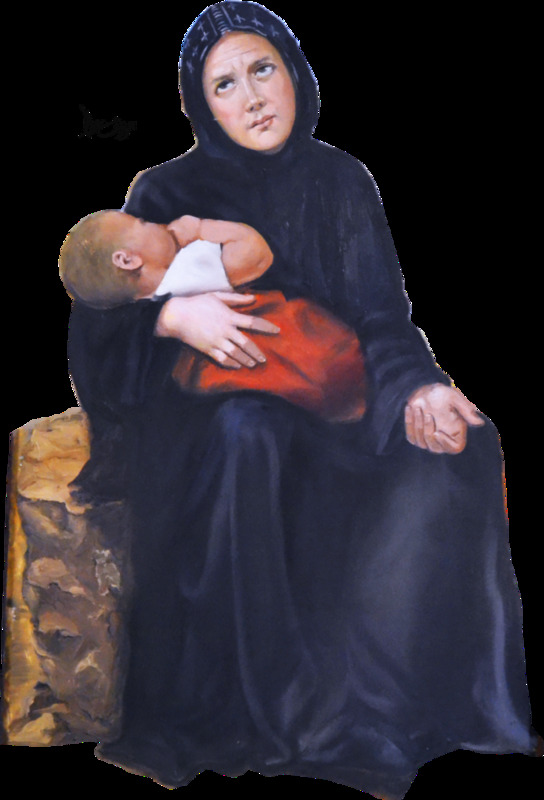 Joan is a saintly model, calling for imitation of an interdisciplinary impulse, combining familiar with the disciplines of maidenhood and manhood, scripture and combat. While Medieval Studies has long been interdisciplinary in its integrating of linguistics, history, archeology, religion, economics, and art, Trans Studies offers a network of fields and professions that would radically grow any academic partnership. Beyond affinity groups such as gender and queer studies, trans studies requires literacy in medicine, psychology, law, even military code. Thus, the implicit message of critics of medieval trans studies often seems to be: but I already did my comp. exams, I don’t want to have to learn all this new gender stuff. Yet the radical interdisciplinary nature that makes it intimidating to settled experts is what is making it a training ground for students to enter into the humanities, such as medieval trans studies, with experience working with STEM and polical-science. Teaching medieval trans and intersex history at an institution that identifies as a STEM, not a Liberal Arts, university, I’m grateful to have engineering, nursing, and comp-science students affirm the importance of such classes in their curriculum. Joan of Arc did not save Orleans alone but did so by collaborating with a network of forces, military brain and brawn, stone, metal, and wood, animals, and God. Learning from STEM and Political Science colleagues, as well as other groups in critical race and disability studies, Trans Studies values collaboration. Isolation feels pragmatic in a highly competitive market where one person getting a job will mean many others not getting hired. Yet despite this impulse, we see trans studies and other marginal studies encouraging a radically collaborative sharing of resources, credit, and attention. Why is this? For one, this stems from a lack of resources and respectability to start. In many cases those sharing these resources are those who themselves have very little of their own or just lately gained some reserve of academic juice. It may be the best investment in the future to spend our five-minutes in the room where things happen to slip as many other people into the room as possible. Our 5 minutes of time may become only 3 minutes but the two people we brought in will have 3-5 minutes of their own to do the same. And these people we sneak in may not always look like us. Collaboration is another element of intersectional interdisciplinary work. This is how we do more with less, a skill that administrations are demanding of departments but also a skill that emerging trans studies students and scholars learn from Day 1. In the end, we find ourselves not only working with people who the academy never would have expected but working on projects that we might never have given a second thought if a friend hadn’t said, hey, let’s put my thing together with yours and join forces. This is how we transform fields, putting intersectionality at the center of what we do, not merely as an isolated one-person diversity sub-field. And it makes us better scholars! Learning to better discuss race, disability, gender from our collaborators teaches us to notice things that afterwards we question how we ever did our work without seeing. What is often forgotten about martyrs is that they may die for the faith, they generally would rather live and indeed fight like hell (as long as they can) for the living. Joan embodies such creativity for us, not only by navigating loop-holes and limitations but by being both war-like and creatively life-seeking. Likewise, creativity is an underrated aspect of Trans Studies. This is often because the academy, like most institutions, is best at replicating itself and the things it knows. As a result, Trans Studies is cast as a new form of Queer Studies or Feminism or as yet another invention of post-modern critical theory. People thus tune out either because they long ago wrote off such –isms or because they feel like they already learned the essentials of that critical turn. But trans people and trans studies does more than merely disturb cisgender people’s sense of gender, does more than merely say, “me too,” in long conversations of oppressions. Trans people and studies exists in a world not built for us. We use the things given to us in new ways that better suit our needs. Or else we invent new tools, terminology, and methods to do things that cis culture cannot. Thus, when the academy declares that the old models are no longer working, trans persons and studies says, yeah, well they never really worked for us. I teach my students to see creativity in trans studies is one that tries to create, to breathe new life, to adapt to survive. Trans Studies acknowledges that not only are academics are losing jobs but lives, with trans youths currently at a 41-50% suicide rate and the average life expectancy of a trans woman of color being 35 years. We are creative in our classrooms not just to keep our professions alive but each other. In the words of James Baldwin, “I cannot be a pessimist, because I am alive.” A creative force profession is just what we need in a pessimistic academy. Something I say before each writing assignment: assume your audience is in some sort of pain, because most likely they are. This shifts us from writing what we need to write to writing what our audience needs to read. To close, I’ll ground interdisciplinary, collaborative, and creative trans pedagogy with an example from my seminars, The Queer Saints Project. Over a whole month of classes, such an assignment meets traditional academic outcomes, as well as outcomes that the academy has yet to require. In our first week, students delved into the medieval theology of saints, considering concepts such as the Imago Dei, Imitatio Christi, intercessions, iconography, martyrdom and patronage. Then the class examined history, art, and literature for stories of trans and queer saints, from Saint Marinos the Monk to the gender queerness of Saint Joan of Arc. Next, students were challenged to look around them at modern queer persons – who were or would never be canonized by the Church - who have lived out the same virtues of being an icon, a role model, someone worthy of imitation, who embodied ideals, whose intercession or patronage helped those in need. They compared their stories narratively, iconographically, and socially to the historical saints. At this stage, they wrote papers making their cases for their own Queer Saints. Finally, on the last week of classes they reflected back on themselves, asking, “what makes me queer?” and “what makes me set-apart or sainted?” Making their own icons and mottos, mini saint’s lives, students shared struggles, hopes, and insights with one another. I had a queer woman of color share that our discussion of hair as a sign of shamed and reclaimed pride helped pull her out of a mid-semester depression when a flurry of white-supremacist hate against her hair made her question her own beauty and value. Her hair made her a saint. Her mottos were, #It'sMyHairAndIWantItForever and #TheBeautyOfAFro. Another student reported that she felt coming into the class that medieval history and religion were the property of white cis-het men and now she feels like she can claim these things and in which she can sees herself. Her motto was, #Thebiblesayswhat? A non-binary student wrote saying that they hardly ever get to see gender queer adults not only living but thriving and that this has transformed their sense of what is possible for their careers. Earlier in the semester, someone told me how sad they seemed and how they wished to scoop this student up and protect them. By the end of the semester, this student was saying how they wanted to scoop up those queer younger than them and keep them safe. Their motto was, #MournTheDeadFightForTheLiving. They affirmed that often we can save ourselves by saving one another. And that, after all, is really the thesis of my talk. When all is said and done, that is why I work in this field. 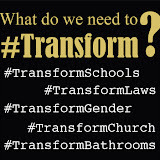 This may bring a new generation of students to transgender or medieval studies but because trans and medieval studies can help empower new generations to create a new future from our past. Yes, Transgender Can Saves the Middle Ages, by which I mean, through intersectional collaboration and creativity embodied problematically by figures such as Joan of Arc, I believe we might just save one another. And yes, yes, we might find ourselves burned at the legal, federal, religious and professional stake. But I cannot tell you or my students what troubles the future may hold, I can help you learn how to face them.